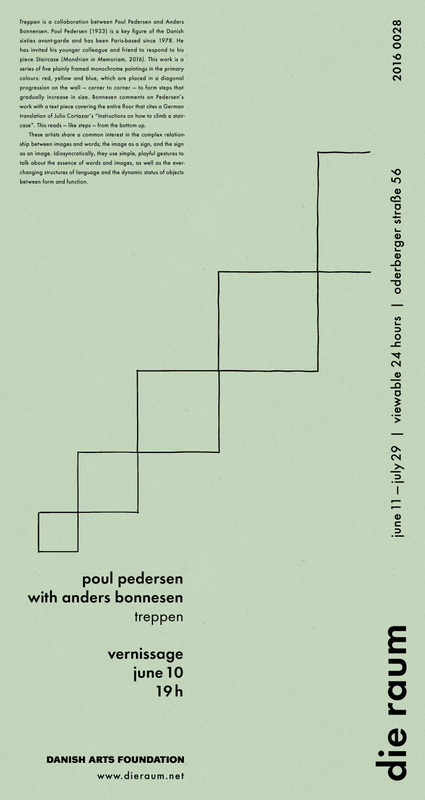 Treppen is a collaboration between Poul Pedersen and Anders Bonnensen. 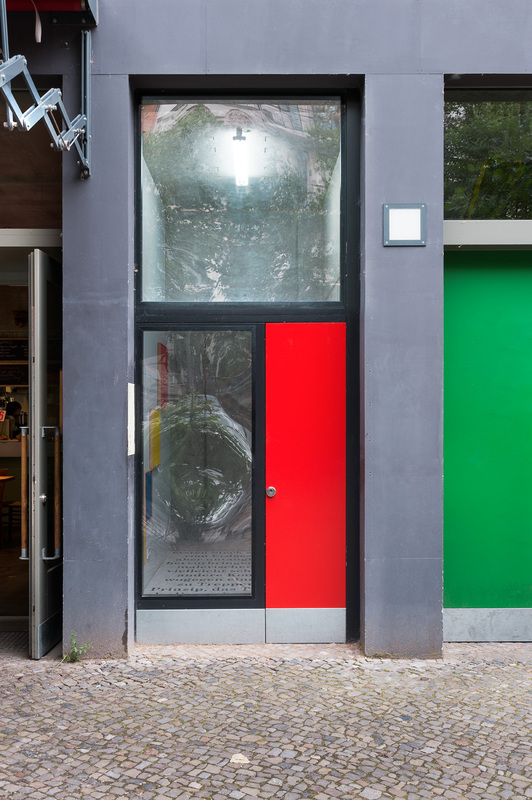 Poul Pedersen (1933) is a key figure of the Danish sixties avant-garde and has been Paris-based since 1978. 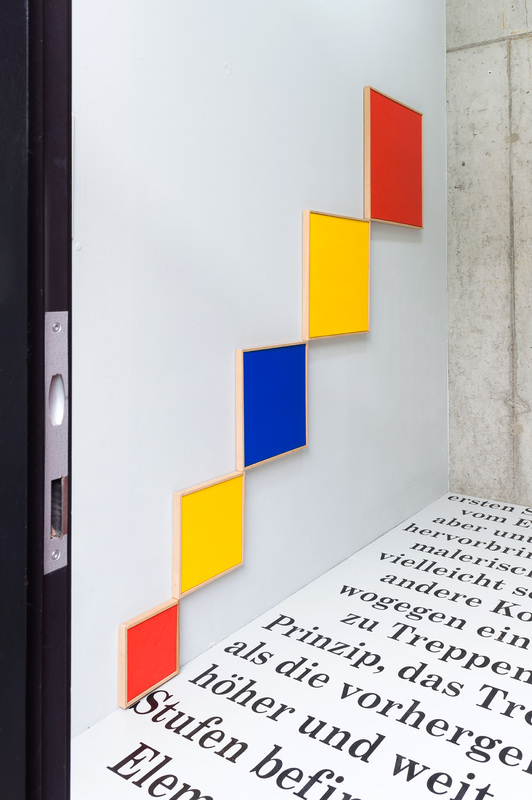 He has invited his younger colleague and friend to respond to his piece Staircase (Mondrian in Memoriam, 2016). 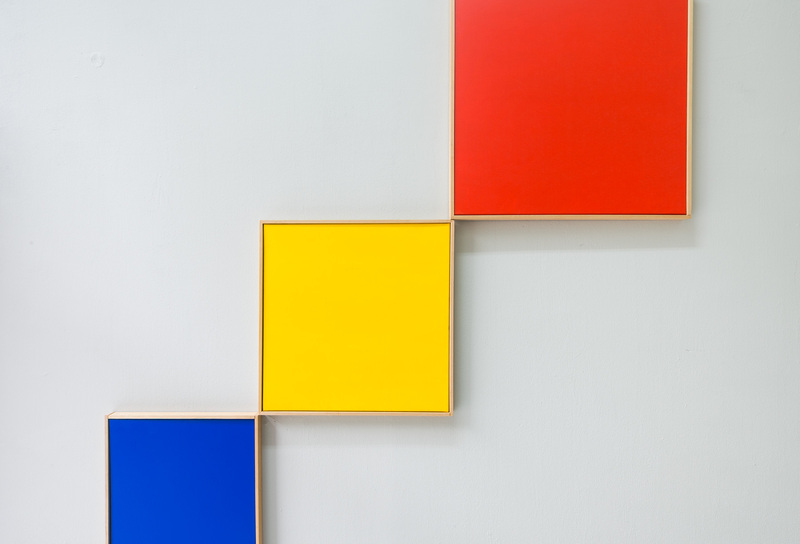 This work is a series of five plainly framed monochrome paintings in the primary colours: red, yellow and blue, which are placed in a diagonal progression on the wall — corner to corner — to form steps that gradually increase in size. 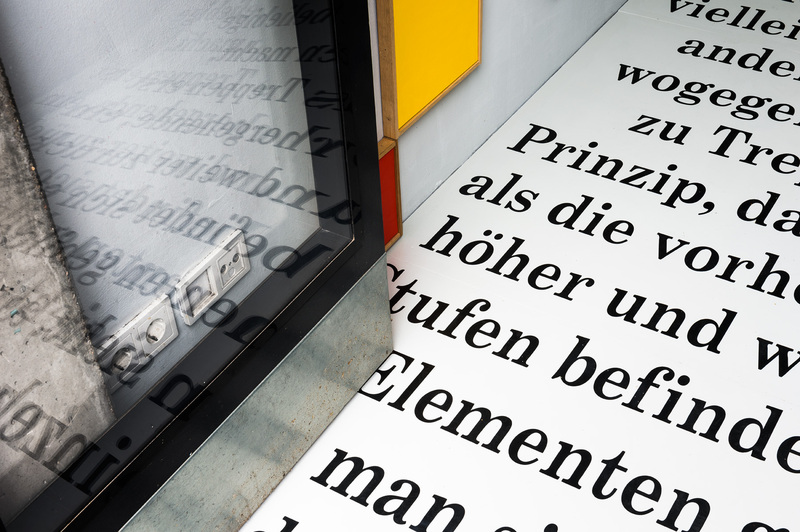 Bonnesen comments on Pedersen’s work with a text piece covering the entire floor that cites a German translation of Julio Cortazar's “Instructions on how to climb a staircase”. 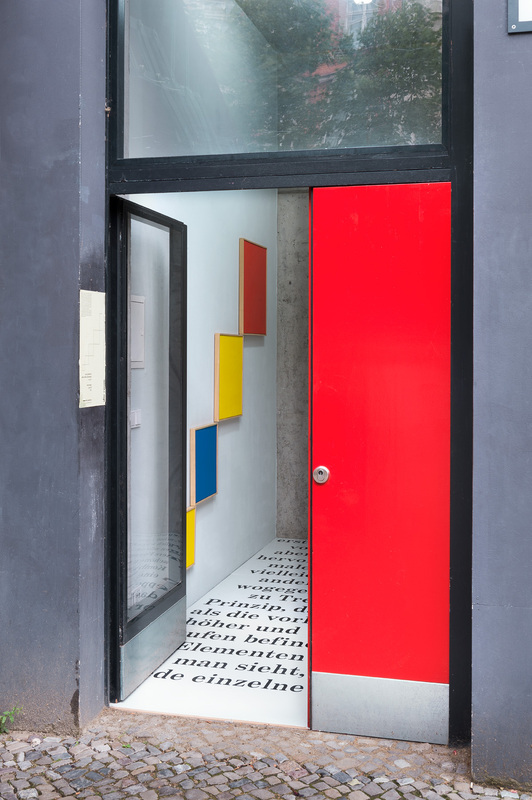 This reads — like steps — from the bottom up. These artists share a common interest in the complex relationship between images and words; the image as a sign, and the sign as an image. 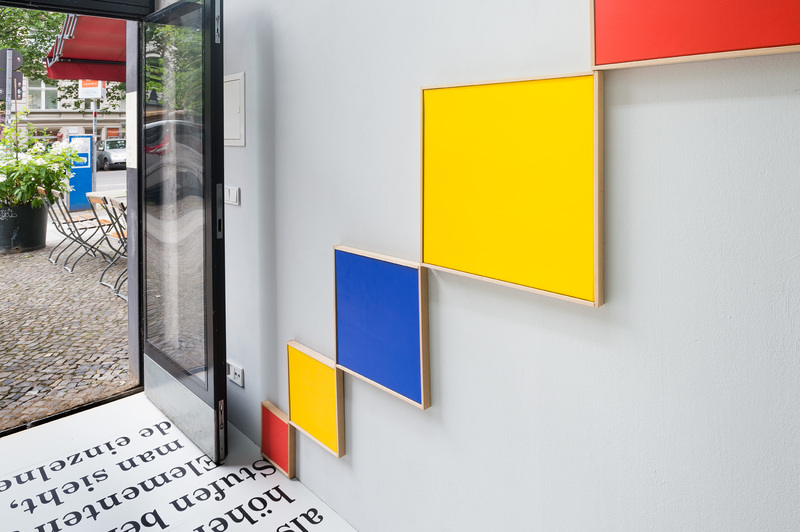 Idiosyncratically, they use simple, playful gestures to talk about the essence of words and images, as well as the ever-changing structures of language and the dynamic status of objects between form and function.